Home > Gift Aid > What is Gift Aid and How Do I Collect It? Gift Aid has been one of the most important financial developments for charities in recent years. Although the policy was first set out in the Finance Act 1990, it did not become the system that charities across the country know and love until 2000, when it was modified to remove a minimum donation limit. The Gift Aid system allows charities to significantly increase the value of donations that they receive from UK taxpayers. It has raised around £1 billion in extra funding for UK charities since its inception, and many charitable organisations have come to depend on it. Gift Aid allows charities and Community Amateur Sports Clubs (CASCs) to reclaim the tax that donors have paid on donations. Donors will already have been taxed on the money that they give your charity, but you can reclaim this (at the basic rate) and add it to the donation. In practice this means that, for as long as the basic rate of income tax remains at 20 per cent, you can claim an extra 25 pence in every pound from HM Revenue and Customs. In order to compensate for the fall in the basic rate from 22 to 20 per cent, HMRC has also introduced ‘transitional relief’ of an extra three pence in each pound. So, in total, you will be able to reclaim 28 pence for each pound that you are donated. How does my charity register? In order to claim Gift Aid you must first be recognised as a charity by HMRC. This is done separately through your registration with the Charities Commission – although you must first register with the Commission if your charity is based in England or Wales, unless you are exempt from registration. You can apply for recognition from HMRC through the Revenue website. Having achieved recognition from HMRC, you should then nominate an authorised claimant. This is the individual that will be responsible for claims. Charities often nominate a treasurer or trustee, although you can also nominate a separate agency. If you wish to nominate an individual you should fill in and complete form ChN1; if you wish to nominate an agency you need form ChN2. Both are available from HMRC. From this point, you need to ensure that you collect and retain the names of donors that authorise you to claim Gift Aid. You will need these in order to fill out form R68, which is used to make a repayment claim. You can complete this form once in each tax or accounting period, although you can use a single form to make a claim for multiple periods. It is vital that you keep accurate records of Gift Aid donations, as these may be audited at any point. You must keep Gift Aid declarations for each donor, along with notifications of any cancellations of Gift Aid. You must also ensure that you inform donors that they must pay at least as much tax as you will reclaim in order to participate in the scheme. 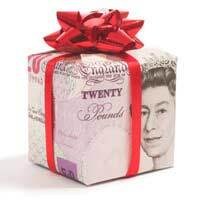 Gift Aid does increase the record keeping burden on charities, but it can significantly increase your income. In an increasingly difficult financial environment, this can only be a good thing.